Complimentary Car Wash with Every Service or Upon Request During Normal Hours. 15% “Do It Yourself” Discount on all Retail Parts and Accessory Counter Purchases. Maybe most importantly, at Island Acura there are no high-pressure sales. Our comfortable, easy-going, no-stress shopping environment makes it easy to browse at your leisure. When you shop at Island Acura you will encounter not only great service, but a huge selection of all the newest vehicles straight from Acura. We have the luxurious ILX, sleek RDX and many more. Looking for the TLX, RLX, and NSX? We have a great selection of each right here at Island Acura. In addition to our new vehicle inventory, Island Acura is home to a variety of Certified Pre-Owned Acuras and a genuine Acura service department. 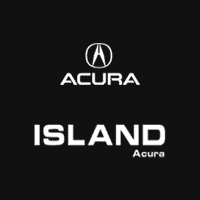 Truly, Island Acura is your one-stop shop for all things Acura in Wantagh, NY. We are here for whatever you might need. Stop by and see us today.